This page contains additional resources for the Vision: Foresighting & Futuring class. 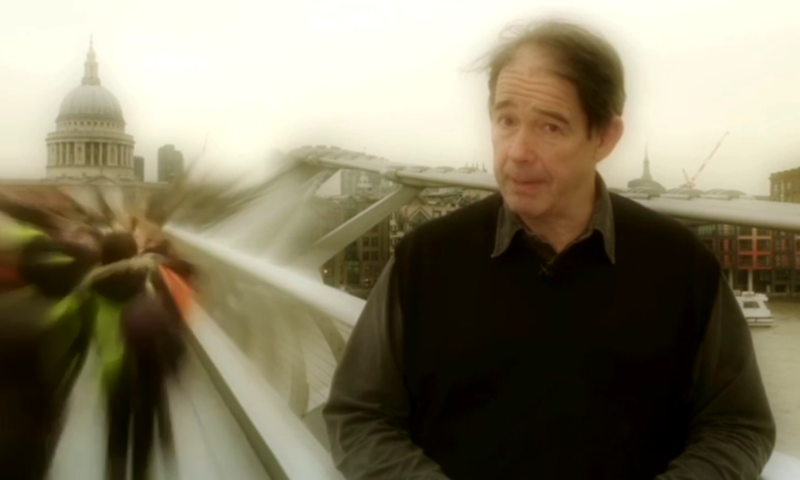 In the video below, environmentalist and author of the course text, The World We Made, Jonathan Porritt talks about our everyday lives in the year 2050. The text for the video below is based upon visions of a sustainable lifestyles in 2050 in The World We Made. Another organization that acts as a global think tank for imagining more sustainable futures is The Millennium Project. The website has a variety of resources and publications on this topic. The video below gives an excellent and succinct explanation of the rationale for backcasting, “planning from the future”. In the video below, Futurist Stuart Candy talks about the importance of future casting and imagining future scenarios. The video below, Future Radars, introduces a method of backcasting that analyses steps towards a vision according to the amount of effort, impact, feasibility and control that they involve. This page contains additional resources for the Lifestyles & Everyday Life class. Below Gideon Kossoff discusses the Domains of Everyday Life in a lecture for the Gund Institute at the University of Vermont. The diagram below shows the nested, holarchic domains of everyday life that Gideon described in his talk (above) and the webs of relationship found at each level of scale. At the level of the household, relationships are fewer, but are strong/thick and long lasting. As higher levels of scale, the number of relationships increases, but they are weaker and more transient. Transition Designers must determine at which level of scale a solution is most effective and design for the web of relationships that comprise it. The Sustainable Everyday Project is a platform to stimulate discussion on possible sustainable futures. Future based scenarios, case studies of social innovation and information about various research projects can be found here. 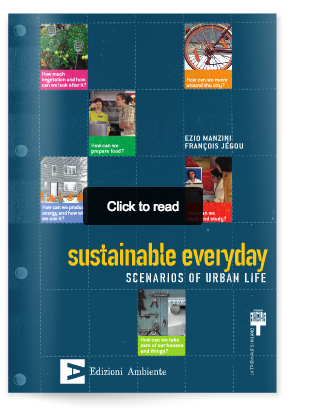 Several books, including the important Sustainable Everyday: Scenarios of Everyday Life by Ezio Manzini and Francois Jegou, can be downloaded. 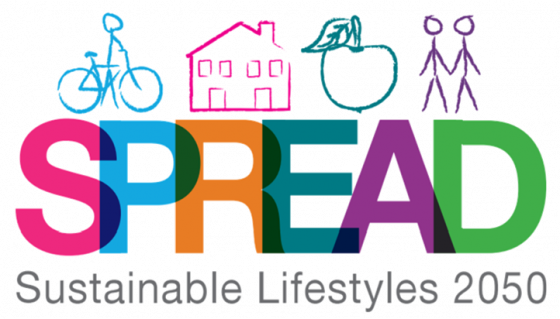 There is a wealth of publications, videos and other resources on the website of the EU project SPREAD, which focussed on the development of visions of sustainable and high quality lifestyles in 2050. 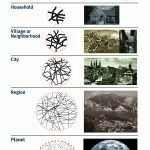 Each of the four films below represents an aspect of everyday life in the future, such as community, the management of the commons, local economies and careful stewardship of resources and the environment. Below are four more videos from SPREAD exploring promising future lifestyle practices. This page contains additional resources for the Cosmopolitan Localism class. This scene from the BBC’s ‘League of Gentlemen’ takes a darkly comic view of the downside of localism. The website of the The Next System Project contains a wealth of resources that make the case that society’s multiple systemic problems can only be addressed through systemic solutions. This project points to “a ‘next system’ radically different in fundamental ways from the failed systems of the past and present”. In the video below, philosopher Kwame Anthony Appiah argues that cosmopolitanism should not simply be about recognizing universal human rights but about celebrating cultural diversity and encounter. Former UK diplomat Carne Ross contrasts direct democracy, in which communities directly participate in the political process, and representative democracy, in which the political authority is delegated to professional politicians.. Ross argues that direct democracy, or self-government, leads to more just, egalitarian communities and well-managed communities. In the video below, Stephan Harding of Schumacher College,Devon, UK, summarizes Gaia theory which proposes that the Earth is a vast, unified and self-regulating organism in which living beings interact with the environment, over aeons of time and across vast distances, to create conditions in which life can flourish. This page contains additional resources for the Foresighting Approaches class. In order to make the process of designing new UNDAF (UN Development Assistance Framework) participatory, the UN Team in Montenegro used Foresight approach, with the support of external consultant – futurist Mr. John A. Sweeney. The enhanced survey tool, based on the intuitive serious card-board game, is a participatory instrument used for planning, strategy and policy development. The collaborative foresight method allows for the transformation of creative dialogue, imagination, and critical reflection on what might lie ahead into actionable insights that are integral to good governance and sustainable development. While many planning, strategy, and policy development processes use data, models, and consultations, foresight widens the scope of analysis by using the future to look for blind spots, emerging issues, critical uncertainties, and uncommon opportunities. This talk was given at a local TEDx event, produced independently of the TED Conferences. The future is a landscape of possibility. The most powerful idea in futures studies is the act of deciding to engage it, thereby gardening change. By considering “futures” as a plural and not a singular, we can enlist our will and optimism to create better scenarios. This 30 minute video from the Institute for the Future provides an introduction to foresighting approaches. Stuart Candy introduces the basic concepts and premises of foresighting and futuring.